GATE Eligibility Criteria: Candidates those who are seeking to admission in IITs, NITs and other government institutes need to apply for GATE Exam. 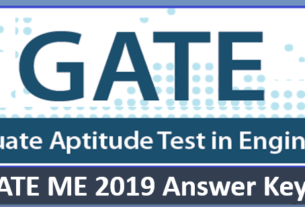 Before they are going to apply for GATE Exam need to check their GATE Eligibility Criteria. 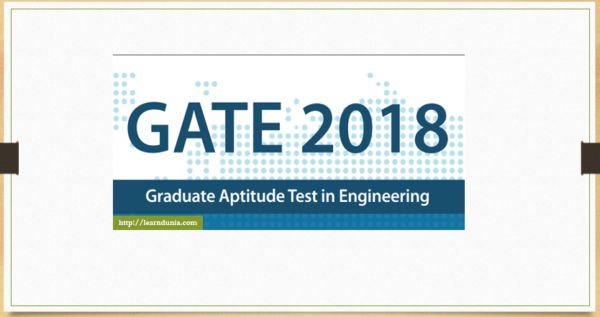 Graduate Aptitude Test in Engineering is also known as GATE. It is a top level engineering entrance exam which is conducted by IITs & IISC in a rotational basis. Those who are seeking to admissions in M.Tech/ME and other programmes provided by IITs, NITs and other institutions and colleges need to apply for GATE. In this article you will get all the complete information about GATE Eligibility Criteria. The conducting authority will not set any minimum or maximum age criteria for the examination. Those who already passed or are appearing in the qualifying examination from the recognized university are eligible. Those who are appearing in the final year of the qualifying exam/degree are also eligible (except in some 5 year integrated courses and AMIE etc.). The conducting will not set any minimum marks standards for eligibility. Same for the attempt limit, the authority will not specify any limit for attempting the examination. Candidates, who are from Nepal, Sri Lanka, Bangladesh, United Arab Emirates (UAE), Ethiopia & Singapore should have to completed or are in the last year of their bachelors degree in engineering/technology or masters degree (M.Sc) in any relevant science subject from the recognized university.